The Interaction Tab tracks involvement you have with your contacts. Add additional fields to the Interaction Tab under Maintenance > Site-Setup > User-Defined Settings. 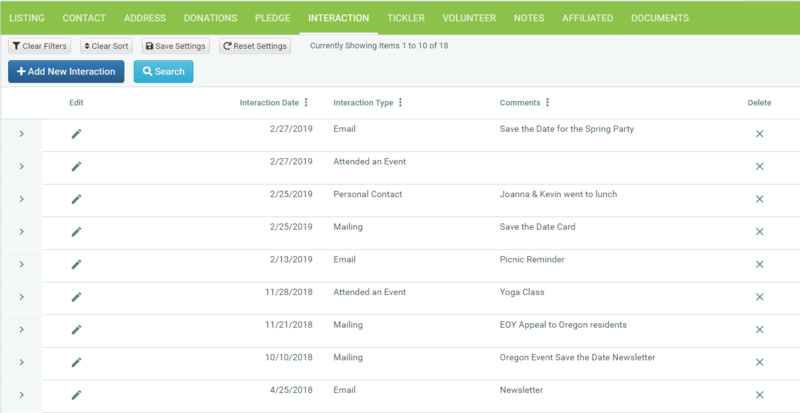 Many organizations will use the Interaction Tab to track events. DonorSnap has an Interaction Mass Update tool that allows a number of records to receive an Interaction code at the same time – such as 200 records that were mailed an invitation. You can use the DataMinerPlatinum Query that you used to create your original invitation list to automatically add an Interaction for each person on that list. For more information see Interaction Mass Update.